New Delhi: Prominent amateurs will tee off at the Delhi Golf Club for the 10th Delhi NCR Cup and Delhi state championship from March 10 to 13. The tournament, which is a brain child of the Delhi Golf Society and held under the aegis of the Indian Golf Union, is now being endorsed by India's leading professional Shiv Kapur as the breeding ground for future champions who will be vying for Olympic glory and more. "Having played at the highest level across the world, Indian golf needs to create a base which has to be strong both in terms of competitions and challenging venues. 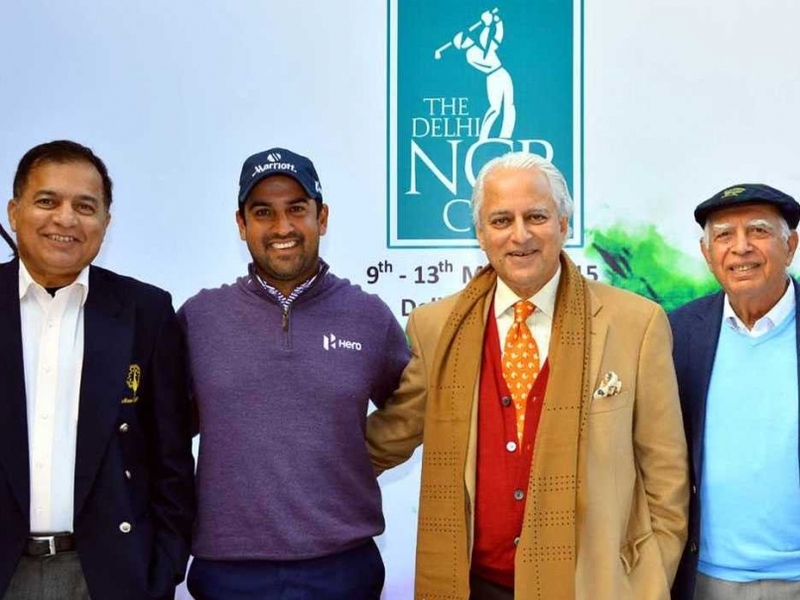 This is where I think the NCR Cup serves an ideal platform to give an exposure to budding golfers," said Kapur who is an Asian Games Gold medalist. With golf being included in the 2016 Olympics, the International Olympic Committee has a scheme to allow the use of Olympic Rings for events which it deems as a platform where the athletes can compete and sharpen their skills for becoming Olympians. Thus DGS has applied to the IOC for permission for use of 'Rings'. "I have seen this event grow from strength to strength with the winners being given an opportunity to play in world amateur events, thus rewarding not only the winners at home but also giving them further opportunity for international exposure which is the need of the hour," said Kapur who is one of the aspirants to qualify for 2016 Olympics and brand ambassador of NCR Cup. The IGU has given the event a special status beginning this year. "We have included the NCR Cup amongst the categorized events in the IGU calendar and the players are eligible to earn points on the Order of Merit based on their performance," said AK Singh, Director General, IGU. "These performances form a base for selection for the national team for various international events," he added.